On 8-10 October 2018, the College of Europe Development Office organized a specialized training course on the main policy issues related to the EU’s external relations. 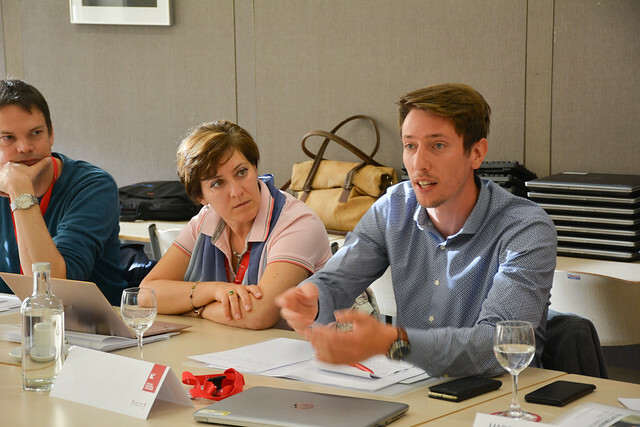 To provide participants with valuable insights into the workings of the EEAS, the seminar focused on the complexities of EU external affairs through a dynamic and comprehensive approach, offering workshops, case studies, and debates. Topics covered were: effective public diplomacy, cross-cultural communication, political analysis and reporting, EU and peace mediation, and effective negotiation techniques. The course was delivered by a faculty of excellence, consisting of distinguished academics and practitioners with relevant expertise in the academic world, the European External Action Service (EEAS) and national Ministries of Foreign Affairs. Find some pictures from our 2018 edition below! Register for our 2019 edition before 31 July 2019 and get a 10% discount!